The Defense Federal Acquisition Regulation Supplement (DFARS) is a set of cybersecurity regulations that the Department of Defense (DoD) now imposes on external contractors and suppliers. This definitive guide provides detailed information about how the regulation applies to DoD contractors, what the minimum requirements are, and the options DoD contractors have available to meet compliance standards. As cyber threats become more serious, cyber security technology continues to expand and evolve. Therefore, addressing security threats has become an ever-increasing priority for the federal government. Enforcement of “Controlled Unclassified Information” (CUI) protection continues to intensify as private government contractors and other non-federal organizations are continually required to update their security systems and procedures to meet the threats of the day. In December 2015, the U.S. Department of Defense (DoD) published a FAR (Federal Acquisition Regulations) supplement referred to as the Defense Acquisition Federal Regulation Supplement (DFARS). 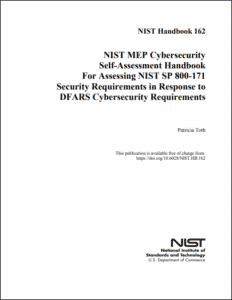 The DFARS is intended to maintain cybersecurity standards according to requirements laid out by the National Institute of Standards and Technology (NIST), specifically NIST SP 800-171. These standards were constructed to protect the confidentiality of CUI and had given DoD contractors until December 31, 2017 to meet the requirements necessary to be classified as DFARS compliant. Failure to meet these requirements could have resulted in the loss of current DoD contracts. With the deadline now past, all DoD contractors must meet the minimum requirements and show proof to the Department of Defense for all contracts moving forward. Provide adequate security to safeguard covered defense information that resides in or transits through your internal unclassified information systems from unauthorized access and disclosure. Rapidly report cyber incidents and cooperate with the DoD to respond to these security incidents, including providing access to affected media and submitting malicious software. 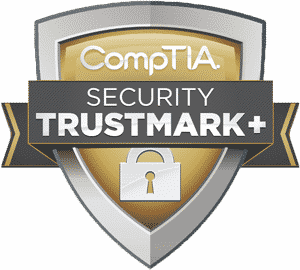 While that sounds straightforward and easy to meet in-house, the term “adequate security” can cover a lot of ground. DFARS details fourteen groups of security requirements, which affect numerous aspects of IT information security. In order to be considered DFARS compliant, non-federal and contractor information systems/organizations must pass a readiness assessment following NIST SP 800-171 guidelines. For complete details on each guideline, please see “Protecting Controlled Unclassified Information in Nonfederal Information Systems and Organizations” document provided by NIST. When a DoD contractor’s area of expertise and the services provided to the Department of Defense fall outside of the technical, meeting this level of required security can be challenging with existing resources. After all, meeting the SP 800-171 is not a one-time fix, rather it is a continuous assessment, monitoring and improvement process. That means that a DoD contractor will have to allocate a considerable number of man-hours devoted solely to ensuring that its business remains compliant with constantly evolving security requirements. Thankfully, the DoD understands the challenge and allows for the use of subcontractors. Data breaches happen even in the most secure computing environments. Working with a security-centric third-party provider such as a Managed Security Service Provider, or MSSP, may give contractors access to the additional security required without a massive capital investment to develop internal controls and cybersecurity departments. DoD Contractors that are audited by the Department of Defense and are found to not be in compliance with DFARS NIST SP 800-171 are likely to face a stop-work order. This means that their work on behalf of DoD will be suspended until they implement suitable security measures to protect CUI. In addition, the Department of Defense may impose financial penalties, including seeking damages for breach of contract and false claims. In the worst case scenario, DoD contractors could find that their contracts with the Department of Defense are terminated. They could even face suspension or debarment from working with the Department of Defense again. For more information on the penalties for non-compliance, see section 252.204-7014 of DFARS here. What Options do DoD Contractors Have? If a DoD contractor or supplier has the expertise and resources available, becoming DFARS compliant can be obtained in-house. The in-house team can follow the “Self Assessment Handbook – NIST Handbook 162” provided by NIST. This handbook was specifically developed by NIST with the intention of assisting U.S. DoD contractors who supply chains for the Department of Defense. If the contractor does not have the expertise to meet the requirements outlined in the Self Assessment Handbook, DoD contractors have the option of outsourcing the requirements to a third-party DFARS consultant. There are many qualified and experienced Managed Security Service Providers (MSSP) in the U.S. who specialize in compliance services and monitored cyber security for DoD contractors who need to meet DFARS compliance requirements. An MSSP will be able to perform this assessment and perform any remediation work necessary to become compliant. For many small DoD contractors, the most effective way to meet the requirements of DFARS is to outsource the task to a Managed Security Service Provider (MSSP) that specializes in DFARS consulting, or IT Risk Management and Compliance. Remember that DoD contractors remain ultimately responsible for ensuring that their company meets the DFARS requirements, so it is essential to choose an MSSP you are sure you can trust. By outsourcing the DFARS Compliance work to a qualified provider, DoD contractors should save a lot of time and money getting and staying compliant. An outsourced provider will have all of the required document templates for the Gap Analysis and the System Security Plan as well as the advanced tools required to monitor and respond to security incidents. They will also have the resources required to perform the remediation steps required to become compliant and the legal documentation to prove compliance has been reached and is being maintained should the Department of Defense ask. The first step towards compliance will require the MSSP is see how close, or how far away, the DoD contractor is from meeting the minimum requirements outlined in DFARS. This process is called the Gap Analysis. Gap Analyses are designed to discover inadequate systems setups and processes that may not meet the DFARS regulations. Taking a close look at a company’s network and procedures is the first step to ensuring compliance. Without a gap analysis, it’s impossible to know what changes an organization needs to make before it meets the DFARS regulation. The professionals at an MSSP use their findings to create remediation plans that will correct any problems and keep our clients in line with DFARS compliance standards. The gap analysis will either aid a DoD contractor in performing their own remediation plan, or they may opt to have a third-party, such as an MSSP, perform the remediation for them. Remediation plans provide careful documentation of processes that don’t meet today’s standards. Having a well-researched plan also makes it easier for DoD Contractors to make necessary changes to their systems. Once the MSSP helps clients meet DFARS/NIST SP 800-171 standards, they will provide legal documentation that proves compliance. This documentation provides legal protection from potential fines. Instead of taking risks, companies should make sure they have as much protection as possible. Otherwise, they could find themselves spending millions in court costs and fines. Even when systems meet or exceed the minimum DFARS requirements for DoD contractors, breaches do happen. To help with those controls, the DoD now requires rapid reporting on all intrusions and potential security threats. According the policy, rapid reporting means within 72-hours of the discovery of the breach. While the DoD makes reporting easy using this link, getting together all of the needed information could be a challenge without a cybersecurity expert on hand to help. At SysArc, we aim to help DoD Contractors understand the requirements laid out by NIST and take the proper steps necessary towards properly protecting the confidentiality of CUI, in order to be eligible for DFARS compliance and remain in good standing with the Department of Defense. Our approach follows our Robust Managed Security Services Plan (MSSP) in the utilization of our professional team, detailed processes and successful tools to meet compliance needs. If you are a DoD contractor needing help complying with DFARS, learn more about our NIST 800-171 Compliance Solution and get a free compliance consultation. SysArc® has helped DoD Subcontractors and their Primes throughout the U.S. navigate the complexities and financial hurtles of NIST 800-171. Our DFARS/NIST 800-171 Compliance Solution ensures compliance in 3 simple steps, and we can help you apply for your state’s DFARS financial assistance program. Contact us now to learn how we can help you.